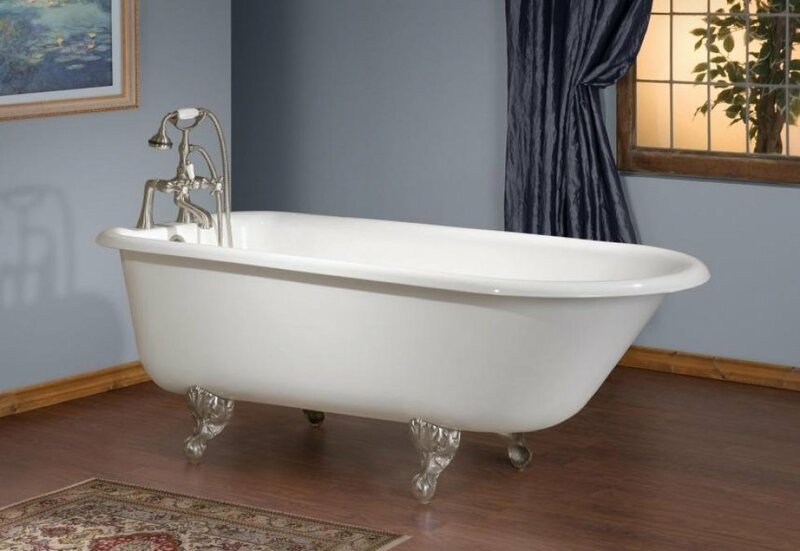 The Traditional Cast Iron Bathtub represents the most enduring of bathtub designs. 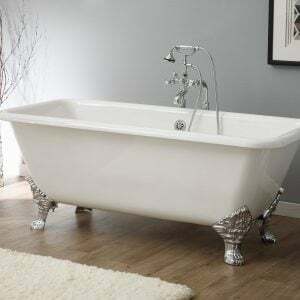 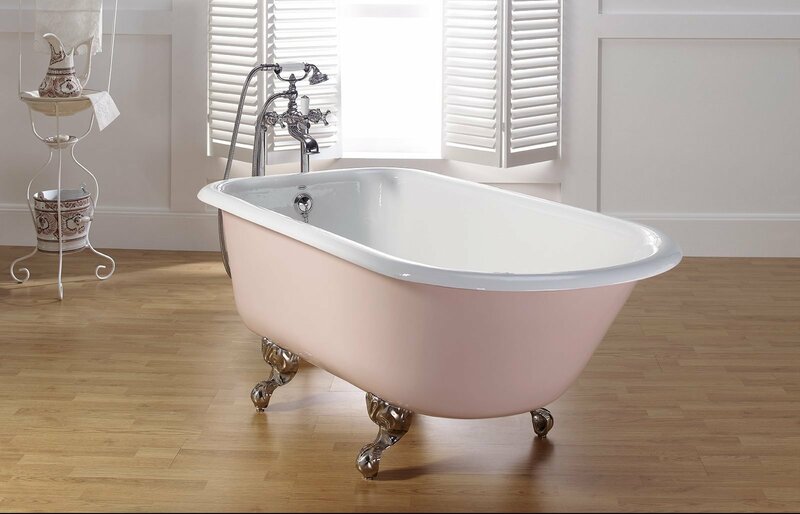 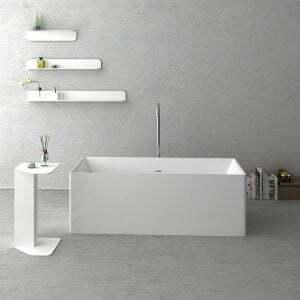 Modeled after the very earliest claw foot bathtubs, this model remains a favourite of traditionalists. 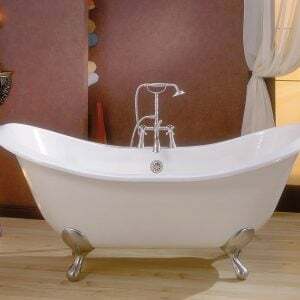 Shown with #5106 Rim Mount Tub Filler in Brushed Nickel.